Trade / Sale Please only list Juan Gonzalez cards here. You can also post "Wanted" cards. Please use the FS, FT, and WTB prefixes on your thread title. What’s up guys. I hope & trust all is well. I’ve got 2 Juan dupes that are available for trade or sale. And I figured I’d bring them here to my fellow collectors first. 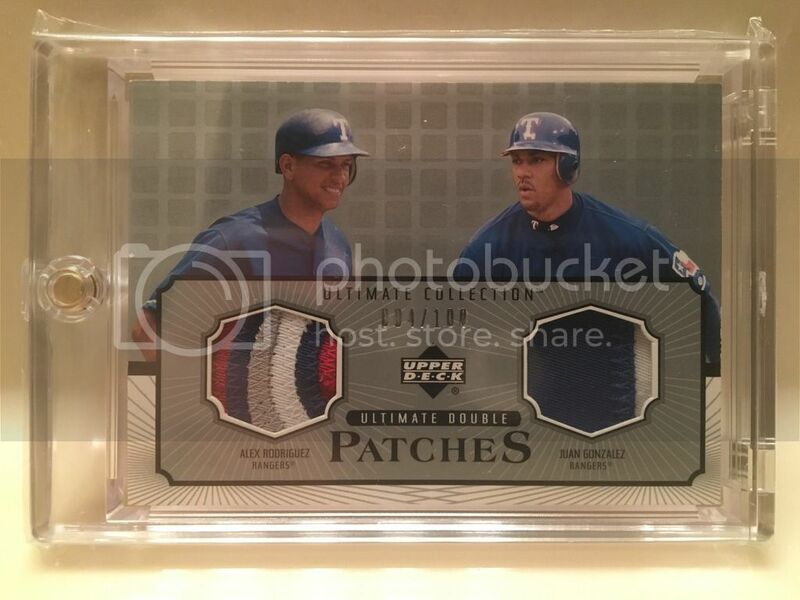 One is the Juan/Alex Rodriguez 2002 Ultimate dual patch /100. 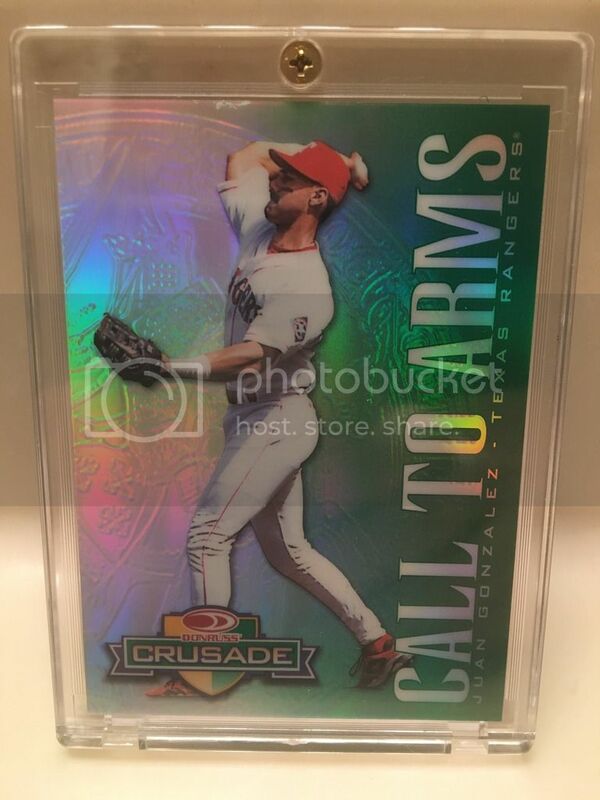 And the other is a ‘98 Crusade green /250. I’m gonna do my best to link the pics of each right here in the thread. But if it doesn’t work,I can email,text or Facebook message you the pics. Regardless,you can rest assured I’ll get the pics to you somehow. Just let me know if there’s any interest. Thanks as always fellas! Hey Allan!!! Is this still avaible? How much are you asking for these?? Let me know please!! Hey Allan!!! Is these still avaible and how much are you asking for these? Let me know please!! Man,I am so sorry for the delay. I haven’t checked in in like a week. They are indeed still available. The dual patch is super clean. But I will say this about the Crusade: it has a visible spot along the top edge,above his throwing elbow. You can see it clearly in the linked pic. It’s not a scratch or lift in the card stock. And I couldn’t feel it when I ran my finger across it. So it’s seemingly a manufacturer flaw in the gloss. I’m looking for $50 for the pair. And I’m more than happy to trade for 90’s Juan stuff that I don’t already have. No biggie either way. Thanks so much for your interest,bud! And I’ll be sure to check in regularly for the next few days,so I don’t keep you waiting. Feel free to pm me on here. That way,it’ll send me an email notification. Have a great afternoon! Alan thank you for the great cards!!!! Love them!!! A pleasure doing bussines with you!! !